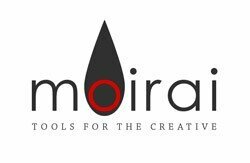 At moirai, we build great tools for people that use Adobe® Photoshop®. When developing products, we keep an eye towards the needs of professional photographers. We also try to make our tools super simple to use. In 2008, Malin Roghelia at Heart is Found Photography needed a way to create storyboards quickly and easily. She offered customers storyboard prints in various sizes with between 3 and 5 images. After purchasing several actions for Adobe® Photoshop® that promised easy storyboards, she was disappointed. Her husband, Josh Humphries, was a software developer by trade and had some background in computer graphics and digital photography. So he wrote a simple script. She could now just open the 3 to 5 images in Photoshop, run the script, and — voila! — a storyboard was built. It was so simple and yet so powerful, they decided that other photographers might want it for doing their own storyboards and collages. Thus was born Heart is Found Storyboard Maker. In 2010, moirai Compositor was released. After developing version 2.0 of the Heart is Found Storyboard Maker, it was decided to spin off the sales of tools and scripts into a separate brand: Moirai Software. The Storyboard Maker was also rebranded. The Compositor is much more user-friendly and much more powerful than the original Storyboard Maker, and it remains our most popular product. We’ve slowly introduced other products, too, including a set of Photoshop® actions, a set of textures, and other scripts. Learn more about all of our products.